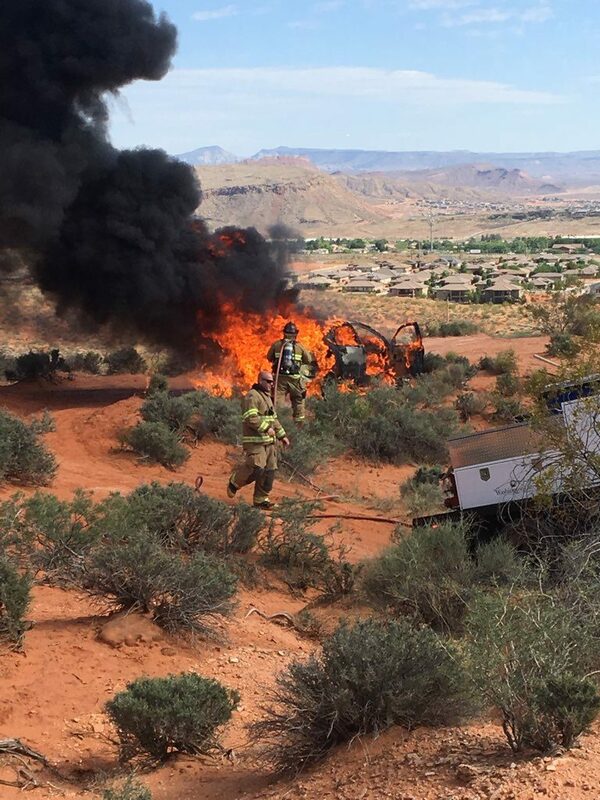 WASHINGTON CITY — A car became engulfed in flames after its driver got stuck on a dirt road in an isolated area of Washington City Monday afternoon. 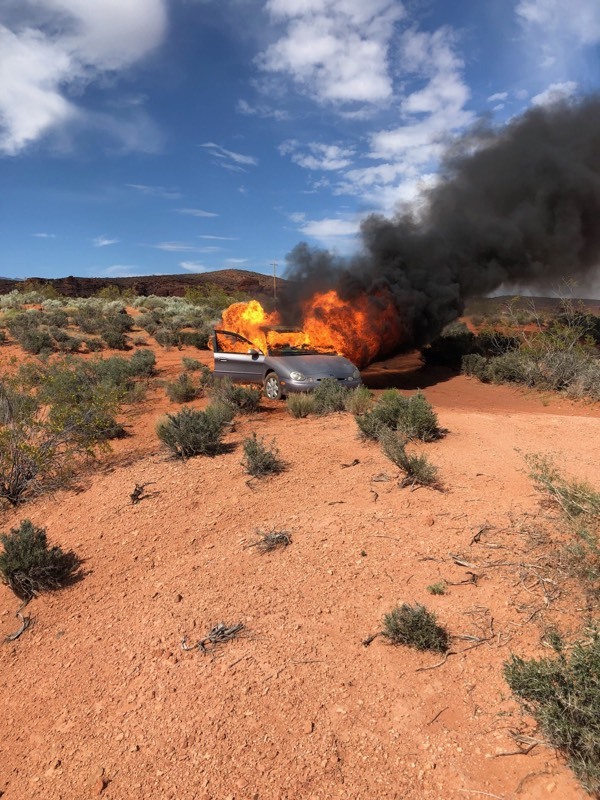 Washington City Fire responded to the fire involving a silver Ford passenger car near the water tanks northwest of the Washington Parkway-Buena Vista Boulevard intersection at 4:26 p.m. The couple called emergency services, and dispatchers at the St. George 911 Communications Center were able to pinpoint their location via GPS. 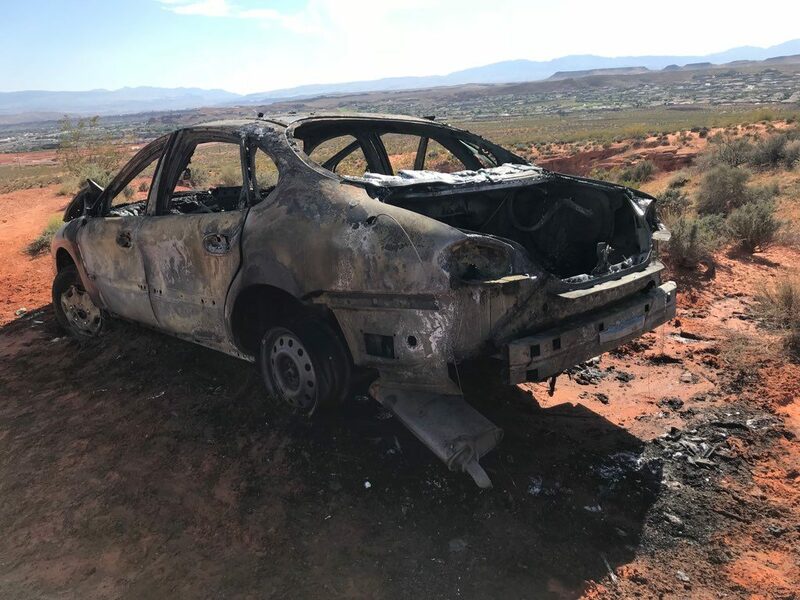 “The fire started small and did not produce very much smoke initially,” Reyes said, noting that the car’s isolated location proved difficult for firefighters to access. 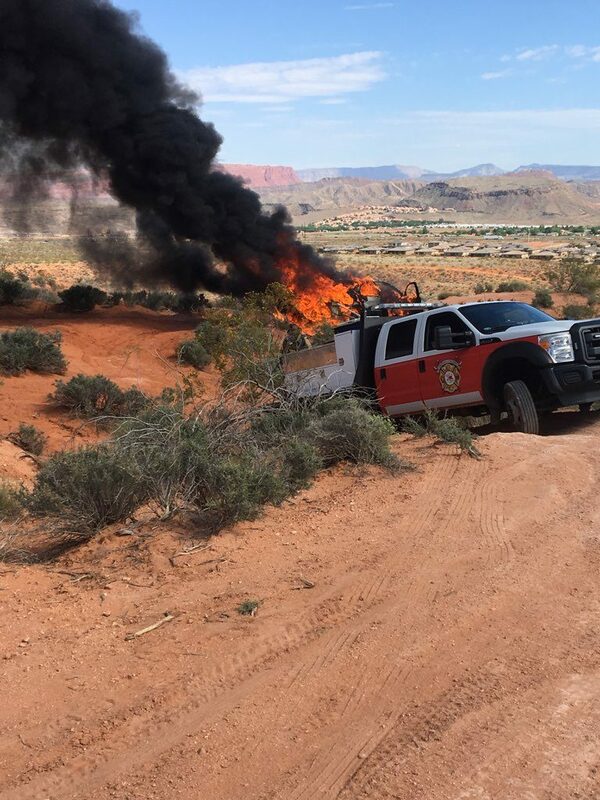 Officers from Washington City Police Department in an off-highway vehicle helped firefighters find their way to the scene. 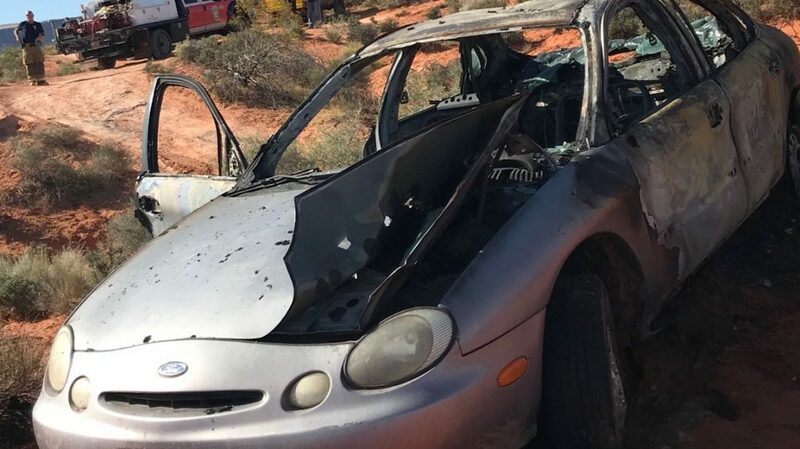 “By the time we arrived, the vehicle was fully involved,” Reyes said. Firefighters managed to extinguish the blaze using tank water from the department’s two responding brush trucks. The couple was treated by medical personnel from Gold Cross Ambulance for smoke inhalation but they did not require transport to the hospital.